It has been reported that anyone who is interested and can access a computer can now receive updates as soon as they are released by subscribing to a link I will include at the bottom of this post. 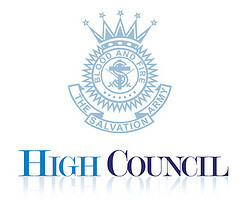 As mentioned in a prior update it is unprecedented the access we and the public are not able to receive within the ongoing proceedings of the up and coming High Council. With the 2013 High Council almost ready to begin, Salvationists and friends from all over the world are understandably anxious to learn of any developments as soon as they happen. Bearing this in mind, the IHQ Communications Section has set up an email subscription service specifically for High Council news. It is planned that daily bulletins will be published, and a link to the live-streaming video site will be sent out when the announcement of the new General is imminent. -Will continue to post updates as soon as I hear anything.